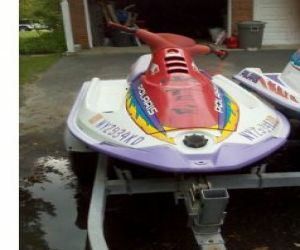 This is a used 1996 Polaris SL 780 jetski. It is not in running condition. But the body is in good shape. A bit older but still nice. It does need engine work, so if your good with that or know someone whom is hen you may be able to fix what is wrong with it. The seating for this jetski is slightly faded and shows some wear to it, but nothing that is major. The handle bars and grips are all in tact. You will have to be careful when entering and exiting this wave runner, because all of the rubber mat grip is gone. The body is still in working condition, just not the engine. The paint is still all in tact and there is no damage that will prevent you from fixing it up and going. It is white, red and yellow in color, with multi colored stickers on the sides. There is a small rubber bumper that goes all the way around the body of this ski. 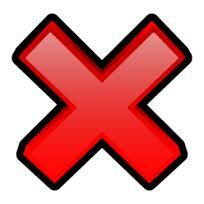 It is all in tact, so if you should hit something lightly you will not damage the body at all.